Decor withstands the intrusive gaze that visitors offer. The critique in us surfaces when we see the decor of a place. You must try hard to stay relevant and on par with what the eyes want. However, it's also about setting new trends! 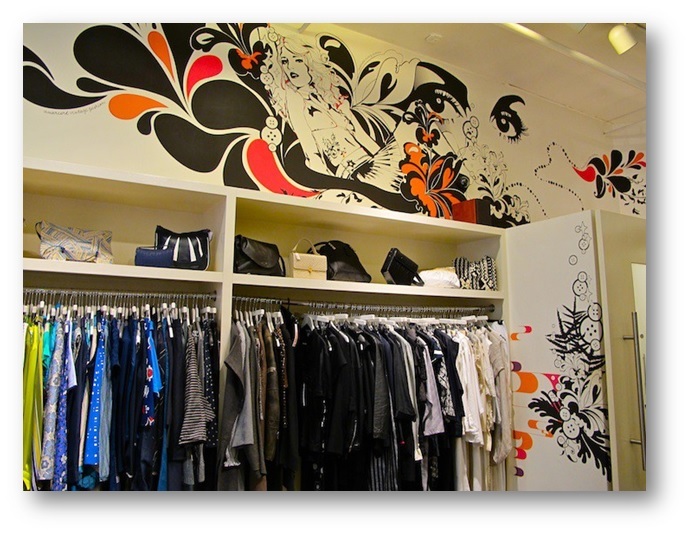 If your wall is up for decor, then realize that it's best for you to suit up and look for an office interior designer. No matter what place you own, you need to bring a change that is welcoming and powerful. Attention can be garnered with an old antique, a luxury expensive furniture piece or may be a wall only. Your wall is your canvas after all and your ideas are your brush. Your strokes matter, but a push to the right direction can make your art stand out, rising above all intent and motifs. 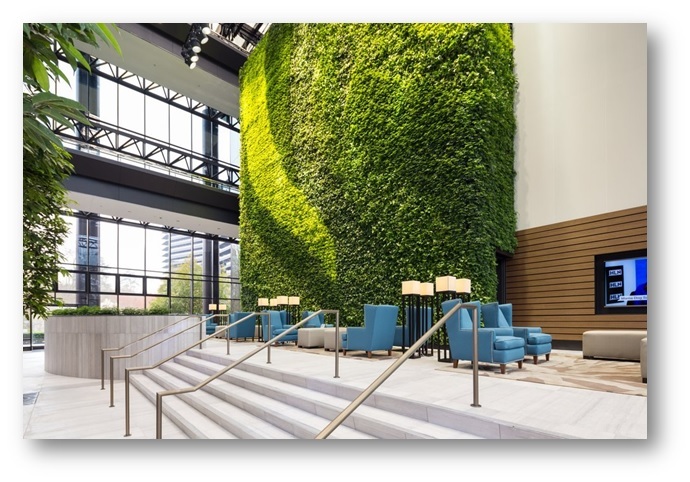 A quaintly placed and aptly curated vertical wall garden can also be a healthy addition, for it adds to the ambience and helps in maintaining an eco-friendly environment. A wall with greens also makes it seems like the room is breathing. If the wall is a part of outdoor view then having a green setup looks enticing. 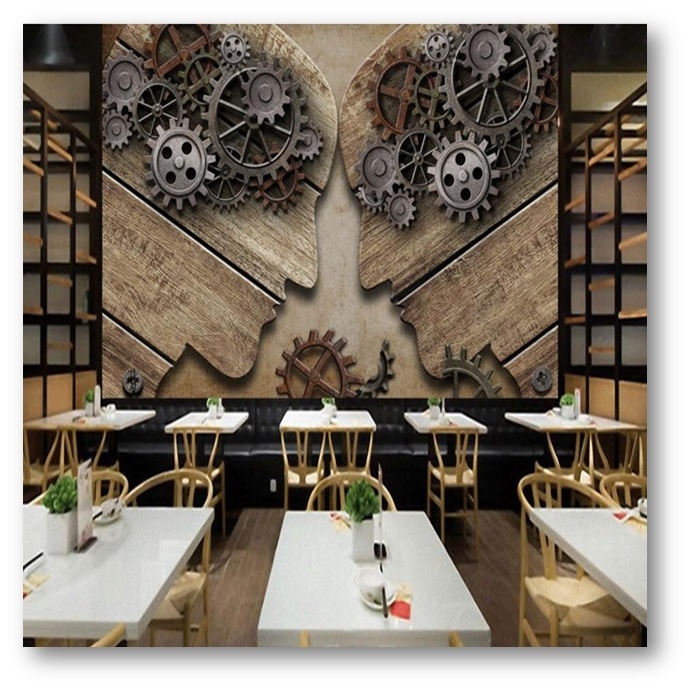 Wood Interiors is always in trend and wooden carvings and structures are a great way to decorate your restaurant wall. It also gives a rustic look which people prefer these days. Your coffee is surely stimulating your senses but are you sure it's the caffeine induced jolt that your brain seeks? 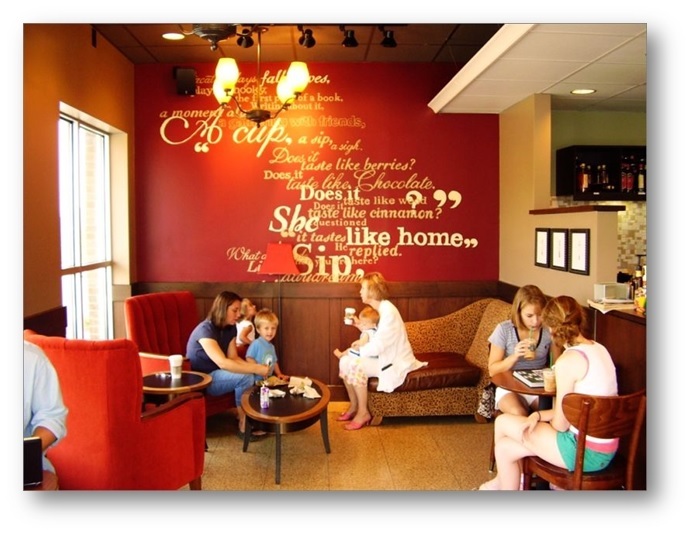 Well, some inspiration quotes with fairly light color pallet won't hurt the coffee shop decor. Be sure to place these quotes at a visibly crowded part of the shop. Our eyes are always searching for something attractive, for we only like to see what we want. It can also be promptly decorated with murals and shelves accompanying the wall. Murals should exemplify the aesthetics of the wall and must blend well with the gifts on your shelf and the ambience should scream comfort. Your restaurant should also have the resounding silence of difference and uniqueness within its decor. The walls should be well lit with colors that vibrate well with the light. Props are an addition, but it puts some weight on the overall visual rendering of the wall. Wall hangings, if aptly placed can add to your wall decor. 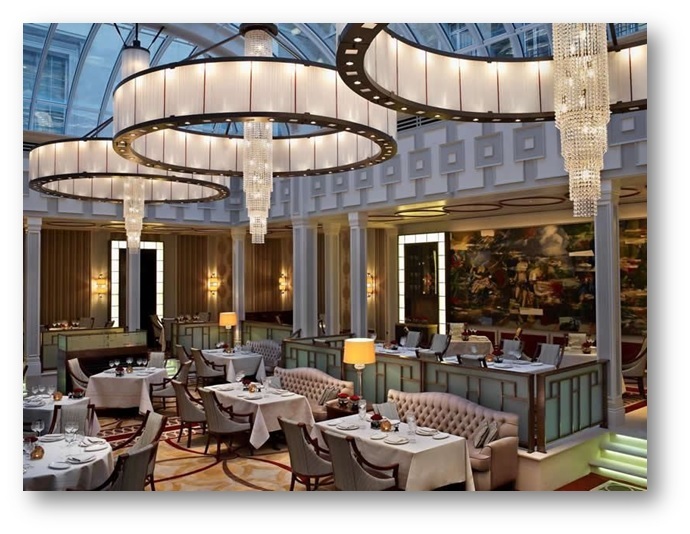 For the connoisseurs to mend what's lacking in your commercial space or for a theme based designing and decoration get in touch with top commercial interior designers and decorators which serve stylish interiors to reach to your business goals.